There are multiple areas within your course where the option to export information will be available to you. Below is a basic outline of where the export option is available and what information can be obtained from that area. In this section, you can export course comments. 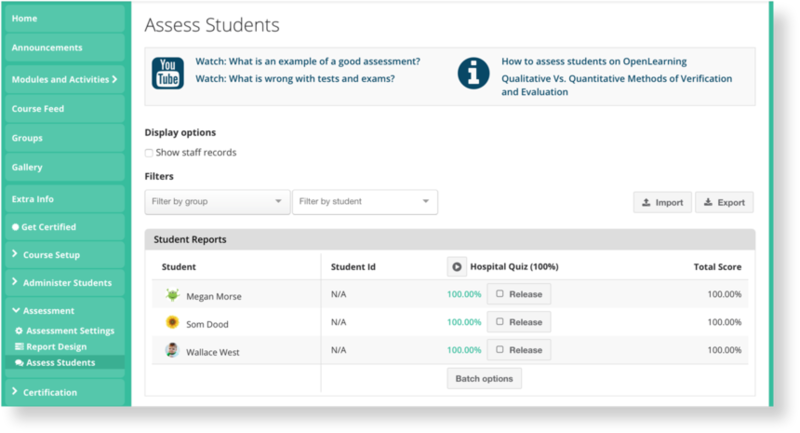 In this section, you can export assessment results for one or multiple students from your course.